Active in practicing Real Estate since June 1976, Ron Ramirez knows that people expect many things from REALTORS. Responsiveness to clients needs is the attribute required of a real estate professional. Ron serves his clients by keeping them informed and doing the follow up work necessary to smoothly conclude any real estate purchase or sale. Knowledge of 1031 Exchanges (Rental Properties), 121 Capital Gains Exclusion ($500,000 for couples), Proposition 60/90 Property Tax Carryover, Tenants in Common Investments (TICS) and various other options every homebuyer/seller should know before they complete their transaction. My experience has shown that people essentially want their REALTOR® to give them the full service of information; Knowing property values, property conditions, finance options in selling or buying property at a price and time frame acceptable to their client. Clients want to know what services they can expect from their marketing agent. It is the agent's responsibility to explain the roles played by the marketing process, inspections, preparation of property, title/escrow companies, lenders, colleagues in real estate and other parties in order to give the client a clear understanding of the entire sale transaction. "My job is to provide you with the best information, so you can make the right decision." After graduating Santa Clara High School in 1973 (as a Panther), Ron Ramirez continued his studies at West Valley College, earning a R.E.C.I (Real Estate Certificate Institute) designation from the California Association of REALTORS. A graduate of Anthony School of Real Estate in 1979, Ron Obtained his sales license in June 1976 and in October 1979 passed the California Broker's Examination. Ron is a licensed Real Estate Broker with Realty World RFP Realty Inc.
Ron is a first generation REALTOR®. With the support of his wife Martha (married 1989), daughters Brianna (born 1990), Vanessa (born 1994), son Ronald Albert (born 2000) and his parents, Albert (deceased May 3, 1996) Connie Ramirez (deceased February 16, 2017) and with the addition of in office support from brother Joe Ramirez in 1989 and his eldest daughter Brianna in 2018. Ron is able to maintain the highest professional standards for his clientele. Put the Ramirez Family Team to work for you! Ron started his Real Estate career with Larry Fargher's Realcom Associates in 1976. In 1985, Ron went to work for Century 21 LAD Realty owned by Larry Fordyce. In 1988, after many discussions and with the support of his parents and three brothers, RAMIREZ FAMILY PROPERTIES was formed. On August 25, 1988, RFP Realty Inc. named Ronald R. Ramirez it's president. With sales experience dating back to 1976, Ron continues his dedication to meeting clients' needs, by attending up to date educational classes that will support his client's best interest in the marketplace. Ron is a member of both the Silicon Valley Association of Realtors and the Santa Clara County Association of Realtors along with MLS Listings. This assures the best possible marketing available to the broadest range of people. Developing an interest in and familiarity with the local community is an important part of the work of Realty World RFP Realty Inc. Ron has worked as a volunteer for Youth Baseball, as President of the Central Coast College Baseball Umpire's Association, as chairman fir Local Community Committee for the Santa Clara High School Accreditation Program, as chairman for Local Community Committee on School Sites for Santa Clara Unified School District, and as Past President of the Rotary Club of Santa Clara North. At the Santa Clara County Association of Realtors, Ron has volunteered for committee work including Multiple Listing and Government relations. 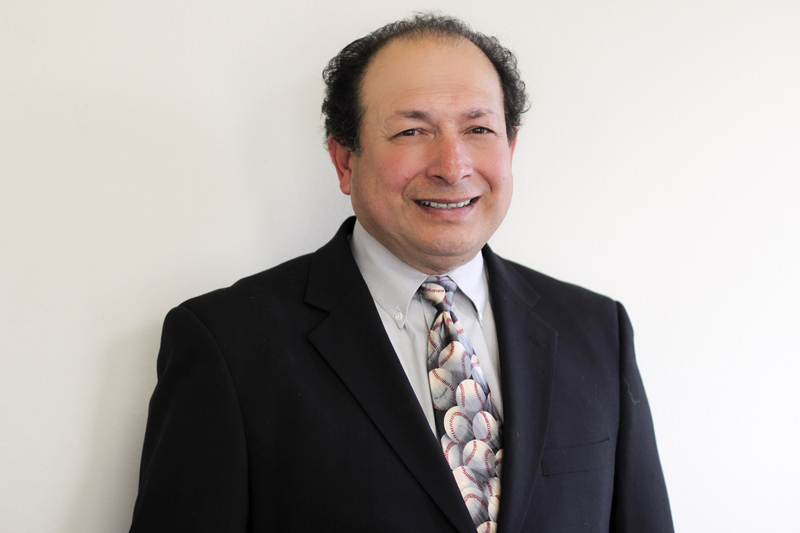 Recognizing the importance of involvement with other professionals, Ron Ramirez is a member of the Santa Clara County, Silicon Valley Associations of REALTORS®, Multiple Listing Service, California Association of Realtors, and National Association of Realtors. a very special group of professionals. "WHEN YOU’RE WITH THE REALTY WORLD SYSTEM, YOU CAN DO THINGS OTHERS CAN'T"